I, for one, am disgusted by it. They began today and three glass panels now have wrapping on them. 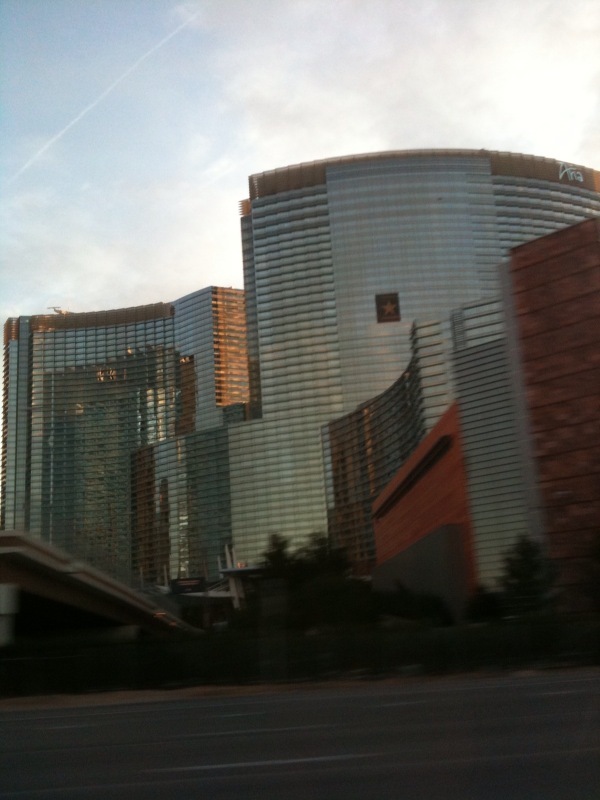 How can MGM go so low as to deface one of the prominent luxury hotels in our skyline for who knows how long?! Hopefully, they will receive a few harsh phone calls about this. I know I am going to do my best to talk to someone as this is, in my opinion, appalling. Friess: Would you ever put one of these advertising wraps on your resorts? 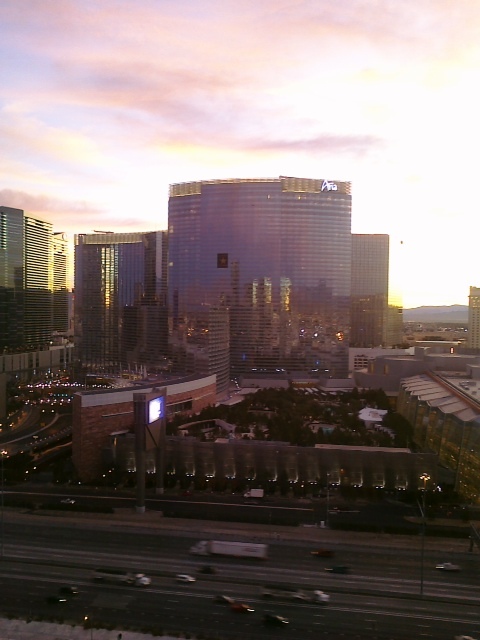 Steve Wynn: When hell froze over. Friess: And why? Why wouldn't you do it? Wynn: It's terrible, terrible looking. It's OK if you're running a Motel 6 or a low-end place like Circus Circus. Friess: The county just gave MGM permission to put a wrap on Aria for their Viva Elvis show and I'm just really offended by this idea. I mean I took them seriously when they said they are doing something high class with their architecture and then they throw up bumper stickers all over it and it gives everybody who hates Vegas a chance to say, "Look at that." Wynn: This is the same group that built the place. It's the same brain that built the place. The VT gang gave the MGM gang too much credit. That, above, would be stately and dignified compared to what they're actually doing. Hah, ha, ha, hah! 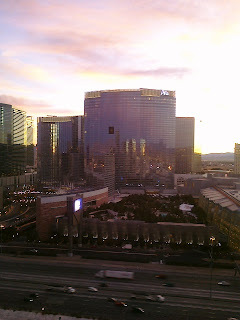 Thank God for Steve Wynn telling it like it is---Motel 6, Circus Circus and now Aria. "It's the same brain that built the place." Great article Steve! Hopefully they will read and realize that if this is done, it will ruin their reputation. Glad the pictures and comment were useful in your story. Murren should be ashamed of himself! This is disgraceful, not just for them, but also for how the world views Las Vegas. I have talked to nearly a dozen people about this and they're ALL DISGUSTED by it! But, they have not worked on it in two days. Has the extremely negative reception changed their minds? I certainly hope so!!! Gee, like Steve Wynn ain't color blind himself - ever been INSIDE the Wynn? Pretty garish & horrifying choices of colors used together. Well...quite frankly ALL THE COLORS USED TOGETHER! HATE HATE HATE that tattered peach fabric monstrosity which hangs from the ceiling above that snooty mall! Wynn's security wears purple jackets that look like wardrobe rejects from The Fifth Element movie! Also sick & tired of Wynn's elitist snobbery looking down at others because he has money & a lot of people don't. Vegas used to be fun because EVERYONE WAS WELCOME! Now his target demographics have flown the coup to Dubai World & Steve has to tolerate us peasants. 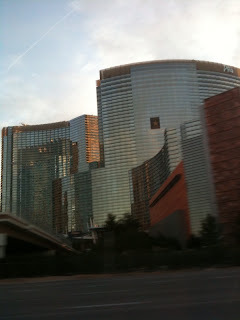 My greatest fantasy is to check into the Wynn in grand loud, obnoxious Al & Peggy Bundy style! Coupons waving (shudder), cameras flashing, pizza boxes & beer coolers in tow! Why our choice of polyester attire would rival the test patterns on Wynn's very walls!